Mumbai International Airport Private Limited (MIAL) has been graded with a Five Star rating by the prestigious British Safety Council (BSC), which is the highest grading awarded by BSC in its Occupational Health & Safety (OH&S) Management System Audits. MIAL is only the second airport in India to receive this Five Star rating and with this win it now qualifies to apply for the prestigious “Sword of Honor Award”. The airport has attained 95.83 %, thereby achieving a 5-star rating (Grading of 92 – 100 per cent) which is a world-class benchmark standard. BSC conducted the audit at MIAL, in the month of July 2014 using the British Safety Council’s International Five Star Audit Numerical Safety Grading System. The audit measured MIAL’s OH&S performance against a number of key performance indicators. BSC placed a greater emphasis on the MIAL’s approach to safety culture, occupational health, employee wellbeing, allocation of resources to health & safety and planning for change. The Five Star OH&S Audits by BSC allows organizations of all types, sizes and sectors around the world to benchmark their health & safety management system against current best practices and to identify opportunities for continuous improvement. The audit specifications contain 5 sections divided into 64 elements which are measured for attainment of a maximum of 5000 points in total. A five star grading is awarded to an organization only when it scores 92% or more in these 64 elements. This achievement of Five Star rating is a testament to MIAL’s continuous endeavor and commitment towards protecting the health & safety of its employees and passengers. This also demonstrates MIAL’s commitment to maintain and continually improve its health & safety standards in line with its corporate mission – To own develop and operate airports that conform to highest standards of safety. About GVK MIAL: GVK Mumbai International Airport Pvt. Ltd. (MIAL) is a Public Private Partnership joint venture between GVK-led consortium and Airports Authority of India (AAI). GVK MIAL was awarded the mandate for operating and modernizing Chhatrapati Shivaji International Airport, Mumbai (CSIA). Through this transformational initiative, GVK MIAL aims to make CSIA one of the world’s best airports that consistently delight customers besides being the pride of Mumbai. The new integrated Terminal 2 at CSIA enhances the airport’s capacity to service 40 million passengers per annum and one million tons of cargo annually. The new ‘Terminal 2’resonates cultural richness and legacy of India through a seamless amalgamation of architecture, design and the largest programme for art in public space spanning across the terminal. It also represents the new, contemporary and modern India through its enabling business ecosystem as well as efficient functioning made possible by state-of-the-art facilities and advanced technological systems adopted. ‘Jaya He’, India’s largest art program for public display at T2 which has nearly 7,000 exclusively sourced exquisite ethnographic objects is conceived as two distinct sections – ‘Layered Narratives’ at the arrivals corridor that explores aspects of Mumbai’s changing landscapes and ‘Thresholds of India’, a scenography wall spanning a total of 3.3 km leading to the different boarding lounges captures the expanse and beauty of Indian art is the transformation of this vision of GVK. The installations at ‘Jaya He’ are made from various mediums ranging from canvas, fibre, terracotta, paper, stone and metal. The mediums have been innovatively used to portray India’s rich art heritage and cultural traditions. AUTOMATION 2014 gets tremendous response from Industries pan India & Globally. Industries from all sectors such as Process, Factory, Building & Electric Automation, Instrumentation & control, robotics, hydraulics, pneumatics, wireless & bus technology will be under one roof in AUTOMATION 2014. AUTOMATION 2014 will display solutions and systems for industries Automobile, Oil & Gas, Power & Energy Management, Chemicals, Petrochemicals, Fertilizer , OEMs, Waste and waste water, Metal Industry, Pharmaceuticals, White Goods, Plastics and Food & Beverage. “Evolution of Technology” will be the key focus of AUTOMATION 2014. AUTOMATION 2014 is organized by IED Communications Ltd. It has received tremendous response from Industries pan India & Globally. Almost over 95% of the area is already occupied and reserved by prominent Industries in AUTOMATION Sector. AUTOMATION 2014 will also organize CEO Summit a panel discussion on “ADOPT AUTOMATION and GO GLOBAL”. AUTOMATION 2014 will also witness knowledge based technical conferences by FOUNDATION FIELD-BUS, and Instrument Society of America is organizing conference on “FUTURISTIC AUTOMATION TRENDS AND CHALLENGES”. AUTOMATION 2014 will Organise One-To-One Business meet for promoting Indian Industries and creating a platform to reach open market for MADE IN INDIA Brand. Over 900 companies from 21 countries participating in AUTOMATION 2014. The major exhibitors participating will be well-known international companies from Italy, Denmark, Brazil, Switzerland, Japan, China, Taiwan, Thailand, Singapore etc besides very reputed Indian companies. 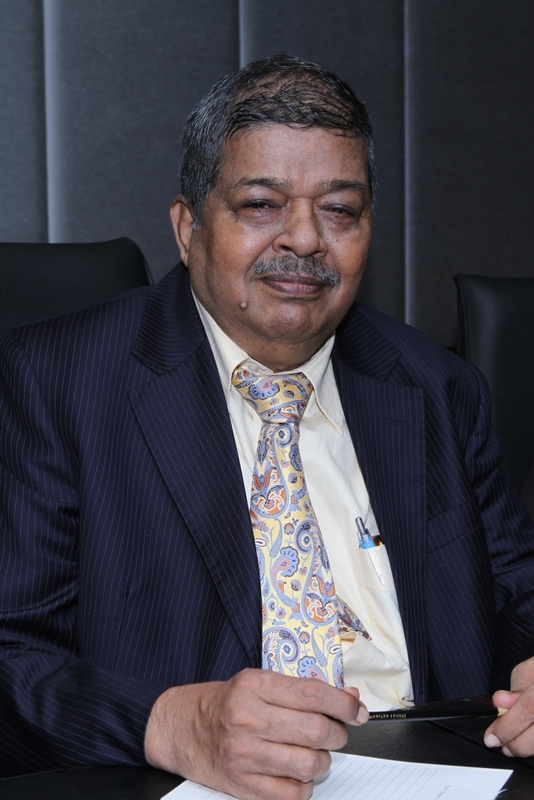 Mr. M. Arokia swamy, Managing Director, IED Communications Ltd. stated that AUTOMATION 2014 is the platform where you will find sustainable solutions for your production efficiency business profitability, optimization of plans, cleaner and greener operations, safer and energy efficient. Adopting AUTOMATION is the best way to win in competition and sustainable growth. A flagship event of IED Communications, “Automation” is the biggest show in South East Asia and the second biggest show in Asia after the “IAS Shanghai”. The 9th edition of Automation 2014 will be held from 15 to 18th October 2014 at the Bombay Exhibition Centre, Mumbai- the financial capital of India. Photo caption: Mr. M. Arokia swamy, Managing Director, IED Communications Ltd.
Avantha Group Company CG announced a $25 million new contract win for the design, construction and delivery of 16 mobile substations. The order was placed by the General Directorate for Transmission, Upper Euphrates Region, Ministry of Electricity in Iraq. The key deliverables are engineering and supply of 16 mobile substations containing 31.5 MVA transformers delivered by CG’s Power Transformer factory in Hungary, auxiliary/earthing units manufactured in the Distribution Transformer factory in Belgium and control and protection equipment provided by CG’s Automation arm ZIV. Integration and assembly work for the project will be concluded at the CG factory in Belgium. The suite of mobile substations will be flexibly deployed throughout Iraq for utilities and industries to provide interim grid connections and temporary power supplies. CG’s short-track delivery of mobile units allows flexible use in the Iraqi grid. Typically its applications would range from power supply during emergency or planned outages, to moving loads, and the integration of distributed or renewable generation. Delivery is expected to be completed by September 2015. The Ministry of Electricity in Iraq selected CG to execute this project on account of an enduring business trust and in recognition of CG’s high quality, reliable T&D products. CG has a successful track record of providing reliable mobile substations and conventional (Gas Insulated Switchgear/Air Insulated Switchgear) substations to the Middle East region and has the reputation of being one of the leading manufacturers of mobile substations, worldwide. CG, after acquiring ZIV, is the key provider of smart meters in Spain and an important player in the global smart grid market where it offers ZIV meters, data concentrator units (DCU) and distribution automation solutions (DAS). CG’s smart grid offerings include self-healing and adaptive restoration systems that detect and isolate faults and restore power to the maximum number of customers. Systems are self-adaptive to handle multiple cascaded fault scenarios. Headquartered in Bilbao, Spain, CG hosts the center of excellence for the development of smart grid solutions commercialized under the ZIV® brand. For more information on Avantha, please visit : www.avanthagroup.com. Jindal Steel and Power (JSPL) has dipped 15% to Rs 180, its lowest level since March 2009 on the National Stock Exchange (NSE), after the Supreme Court today cancelled all coal block allocations except for government-run blocks that operate on a non-JV (joint venture) basis. A penalty of Rs 295/tonne will also be imposed on all cancelled block holders, the Supreme Court order says. The stock opened at Rs 207 and touched a high of Rs 218 in early morning deals on NSE. A combined 21.42 million shares changed hands on the counter so far on NSE and BSE…. New Delhi: The Supreme Court on Wednesday cancelled 214 coal block allocations between 1993 and 2008 except for four, which are government-run non-joint ventures. The coal blocks exempted include Sasan, UMPP, NTPC and SAIL. 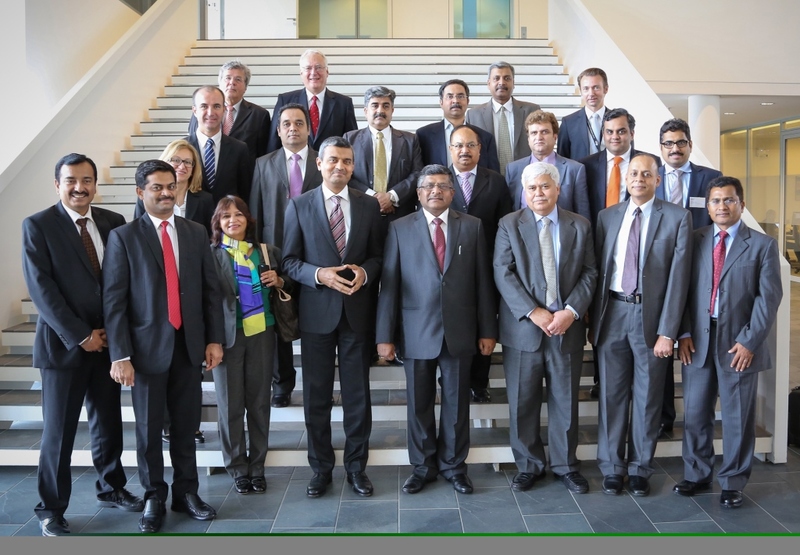 Led by Mr.Ravi Shankar Prasad, Indian Minister for Communication and Information Technology, a delegation of 15 members comprising of Indian government and industry representatives met with Arunjai Mittal, Member of the Management Board of Infineon Technologies AG (FSE: IFX / OTCQX: IFNNY). 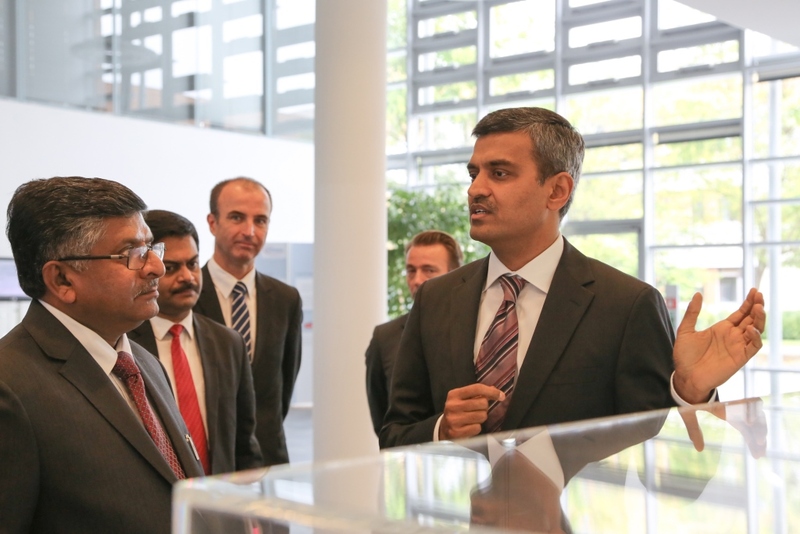 The visit emphasized the Indian government’s interest in the products and development activities of Infineon. 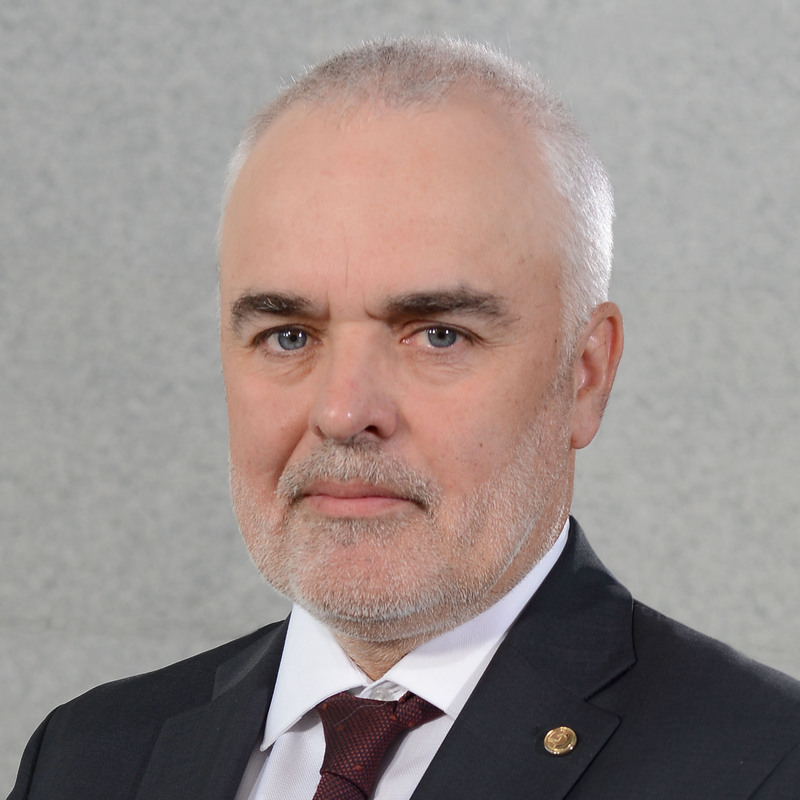 Major infrastructure measures such as the expansion of the power network, construction of high-speed rail connections and the introduction of secure personal documents inevitably results in mutual points of interest. The delegation listened attentively to Mr. Mittal’s presentations, which described Infineon’s technology leadership in power electronics and security applications. In response, Minister Mr.Ravi Shankar Prasad described the positive investment conditions to be found in India, emphasized India’s constant market growth and appealed for Infineon investments in India. He pointed out that the recent formation of a government under Prime Minister Modi will result in new opportunities, adding that basic conditions in India are much better than those found in neighboring countries. Mr. Mittal gratefully accepted the invitation to a return visit to India. Infineon will remain in dialog with the government of India. Over the last five years, with the gap between demand and supply having reduced from 18 percent to 3 percent Maharashtra is able to supply power to everyone and is on its way to becoming a zero load-shedding State. 82 percent of Maharashtra is already free of power cuts. Major reforms in capacity addition include loss reduction, improvement in demand-side management (single phasing schemes) and separate feeders for agriculture. On a rotation basis, agriculture consumers get power for eight hours in the day and ten hours at night. The agriculture demand is 14500 MW and supply is 13500 MW. The shortfall is carried out through feeders where distribution commercial losses are more than 42 percent. MahaGenco has added 2500 MW thermal power capacity in the 11th 5-Year Plan while work is on for adding another 3230 MW. Land acquisition process has begun for the addition of a further 3950 MW thermal power. Feeder-wise distribution started ensuring increased load shedding in areas where recovery and losses are high. This step will pressurise the local community to reduce losses, thereby increasing recovery prospects that in turn assure uninterrupted power supply. Single phasing has been implemented in 15,000 villages and independent site feeder to 18,000 villages. Additionally discounts of 20 percent on electricity charges have also been offered to customers, this includes households, commercial establishments, industries and agricultural customers. Avantha Group Company CG was selected by ERDF -Electricité Réseau Distribution France, the public electricity distribution company managing 95% of the electricity distribution network in continental France, as one of the six suppliers to manufacture the first three million of its new generation Linky smart meters. This contract is a very significant achievement for CG, a company that has built its competitive strategy in the development of smart grid solutions, under ZIV brand, based on its own technology and a unique mix of knowledge in protection and control, communications and metering technologies. The technological strength of ZIV smart meters backed by a large field experience on the behaviour and performance of powerline communication networks of different nature has proven to be a key factor, as it results in a direct benefit to the utilities by offering more flexibility when modifications or upgrades are requested. ZIV smart meters and data concentrator units from CG are gaining a strategic position in the Smart Grid European market where it has achieved key wins in 2014. Large-scale deployments are planned in the UK, Spain, the Netherlands and France. CG will face new challenges with agility, implementing a new supply chain in France to manufacture ZIV smart meters and associated products. The initial order is the first phase of a 35 million unit rollout by 2021. According to ERDF, the Linky program is a major industrial program that will create 10,000 jobs located in France. By modernizing the distribution grid, this program will bring important benefits for the consumers helping them to better understand their electricity bills and reduce consumption, and at the end, helping to preserve the environment by means of a more efficient grid management. Wipro Arabia Ltd., a subsidiary of Wipro Ltd., (NYSE:WIT), a leading global information technology, consulting and business process services company, today announced that it has entered into a strategic partnership with Saudi-based Saudi Electricity Company (SEC), the largest power utility company in the Middle East serving approximately 5 million customers in the Kingdom of Saudi Arabia (KSA). As part of this engagement, Wipro will implement and rollout the plant maintenance and project system functionality of the SAP® ERP application for SEC’s distribution business line across KSA. Once implemented, it is expected to enable the power utility company to have an integrated system that offers centralized and standardized processes across its plants. This will help ensure uptime of distribution networks, expense controls and effective utilization of assets. Wipro plans to implement the fully functional and integrated bilingual (Arabic/English) solution, which will allow SEC to methodically migrate existing data from current digitized and manually maintained systems to SAP ERP. The SAP ERP-based system is expected to go live in the next 10 months and is designed to enable SEC to serve customers better by increasing availability of assets due to increased uptime. In addition, the solution will help it bring all of Saudi Arabia onto a single and standardized platform that will help SEC to streamline day-to-day operations and increase operational and financial efficiencies. It will also provide the company with the necessary visibility and planning capabilities needed for year-round maintenance activities, helping to keep slippage in check on vital maintenance schedules. Saudi Electricity Company is a merger of all Saudi electricity companies in the central, eastern, western and southern regions into a single joint stock company providing generation, transmission and distribution of safe and reliable electric services to customers in the Kingdom of Saudi Arabia. For more information, please visit:http://www.se.com.sa. Certain statements in this release concerning our future growth prospects are forward-looking statements, which involve a number of risks, and uncertainties that could cause actual results to differ materially from those in such forward-looking statements. The risks and uncertainties relating to these statements include, but are not limited to, risks and uncertainties regarding fluctuations in our earnings, revenue and profits, our ability to generate and manage growth, intense competition in IT services, our ability to maintain our cost advantage, wage increases in India, our ability to attract and retain highly skilled professionals, time and cost overruns on fixed-price, fixed-time frame contracts, client concentration, restrictions on immigration, our ability to manage our international operations, reduced demand for technology in our key focus areas, disruptions in telecommunication networks, our ability to successfully complete and integrate potential acquisitions, liability for damages on our service contracts, the success of the companies in which we make strategic investments, withdrawal of fiscal governmental incentives, political instability, war, legal restrictions on raising capital or acquiring companies outside India, unauthorized use of our intellectual property, and general economic conditions affecting our business and industry. Additional risks that could affect our future operating results are more fully described in our filings with the United States Securities and Exchange Commission. These filings are available at www.sec.gov. We may, from time to time, make additional written and oral forward-looking statements, including statements contained in the company’s filings with the Securities and Exchange Commission and our reports to shareholders. We do not undertake to update any forward-looking statement that may be made from time to time by us or on our behalf. ? Delta, a global leader in thermal and power management and pioneer in display and monitoring solutions, announced today it will showcase its revolutionary Industry Intelligent Monitoring Management System, iPEMS™ at InfoComm India 2014. iPEMS™ is a living proof of Delta’s profile as a total solutions provider as it integrates IoT (Internet of Things) technology with Delta’s DVCS® advanced vision control system. iPEMS™ enables monitoring of more than 10 million supervision points in real-time, ultra high-resolution visualization with intuitive SCADA graphics and with big data mining and analysis capabilities. These functions are pillars for improved productivity and energy efficiency in industrial platforms and green buildings. The highly adaptable and customizable iPEMS™, which is featured through a live demonstration for the first time in India, support effective decision-making processes in a broad spectrum of industries such as power generation, smart manufacturing facilities, data centers, 3G/4G wireless base stations, oil & gas installations and more. Real-time Data Capture, Transfer, Storage: All the signals of entire industrial platforms, such as real-time analog/digital data, alarm information and supervision video can be blended together by leveraging Delta’s DVCS® (Distributive Vision Control System) technology. Its distributed database system enables large-scale, high-speed data storage and backup, ensuring data integrity and security. Intelligent Data Mining and Analysis: iPEMS™ constantly monitors changes in the data received, providing customizable visual alerts based upon predefined parameters. Analysis of energy consumption, industrial process management and safety monitoring are common functions enabled by the system. Integrated Super-High Resolution Data Visualization: The system also visualizes all the data shown on high-resolution of up to 102400 x 7680 display walls throughSuper Resolution Image Software (SRIS) which is driven by Delta’s novel DVCS®, an IP-based vision control system that is the first to integrate audio and video in onesingle display wall system. As Delta is the first to use the latest HTML-5 SVG (Scalable Vector Graphics), intuitive SCADA graphics are also displayed and operators canuse iPEMS™ with any PC or tablet that supports IE / Chrome / Safari / Firefox environments. iPEMS™ is part of Delta’s showcase at InfoComm India 2014, which includes the world’s first ultra-bright Laser-based Digital Light Processing (DLP®) video wall and also highly advanced and versatile projectors from Vivitek, a brand of Delta. Delta will exhibit its state-of-the-art display & monitoring solutions during InfoComm India 2014 at booth E1, Bombay Exhibition Centre, Mumbai, India from September 17th to 19th. InfoComm is a leading and the most prestigious audio visual Expo designed for professionals in the audiovisual, information communications and systems integration industries. Delta, founded in 1971, is the global leader in power and thermal management solutions. Our mission statement, “To provide innovative, clean and energy-efficient solutions for a better tomorrow,” focuses our role in addressing key environmental issues such as global climate change. As an energy-saving solutions provider, Delta’s businesses encompass power electronics, energy management, and smart green life. Delta has sales offices worldwide, with R&D centres and manufacturing facilities in Taiwan, China, USA, Europe, Thailand, Japan, Singapore, India, Mexico, and Brazil. Throughout its history, Delta has received many global awards and recognition for its business milestones, innovative technology and corporate social responsibility. Since 2011, Delta has been selected as a member of the prestigious Dow Jones Sustainability™ World Index (DJSI World) for three consecutive years. In 2013 it was also included in the DJSI Emerging Markets Index and ranked first in six criteria among DJSI’s World-leading Electronic Equipment, Instrument and Component Companies segment. Delta Displays, a division of Delta, is a pioneer in developing professional display for control room solutions for surveillance, security, traffic, command & control, utilities, process control, telecom and broadcast applications. Delta offers a wide array of display technologies including: rear projection DLP® video walls with Gen-Next LED technology, Ultra thin-bezel LCD video walls, and high-resolution indoor/outdoor LED displays with a powerful & highly flexible Wall management Software suite. More information about Delta Displays can be found at www.deltadisplays.com.